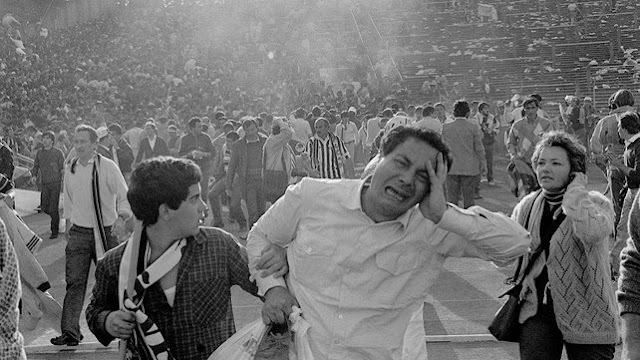 Heysel Disaster: English football's forgotten tragedy? It's the next step in the march for The Treble for Barcelona. The league is won, the Champions League Final awaits, but first...it's the Copa del Rey Final vs. Athletic Bilbao! Here's your Preview. Raphael Honigstein is in Germany, and according to Raphael, Jürgen Klopp plans a super-cool German Cup final for his Borussia Dortmund farewell. We don't doubt it! 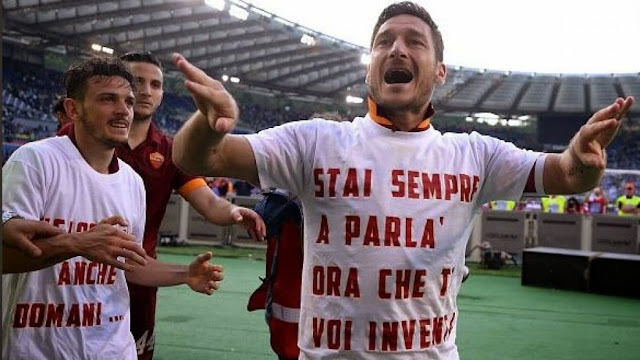 It's the final installment of 2014-2015 Serie A this weekend. Napoli play Lazio with a Champions League spot at stake, and James Horncastle says the match is critical to Rafa Benitez's legacy in Naples. Here's a Weekend Preview, along with some story lines to follow on the final weekend in Italy. There's a Joy of Six this week. It's Curtailed Football Careers. Michael Bridges, anyone? Major League Soccer. Here's a Weekend Preview. Here's another Weekend Preview. That's it! Have a good one. Hello, friends. Sevilla are the champions of Europe (Tier Two) yet again. In a highly entertaining affair in Poland, Los Blanquirrojos knocked off Dnipro Dnipropeptreptakniptrovsk by the score of 3 - 2. Jonathan Wilson was at the National Stadium on Warsaw and filed this report. Mr. Wilson also says that...The Rise and Rise of Sevilla's Carlos Bacca Is Truly Inspirational. And here are Three Things We Learned from the encounter. 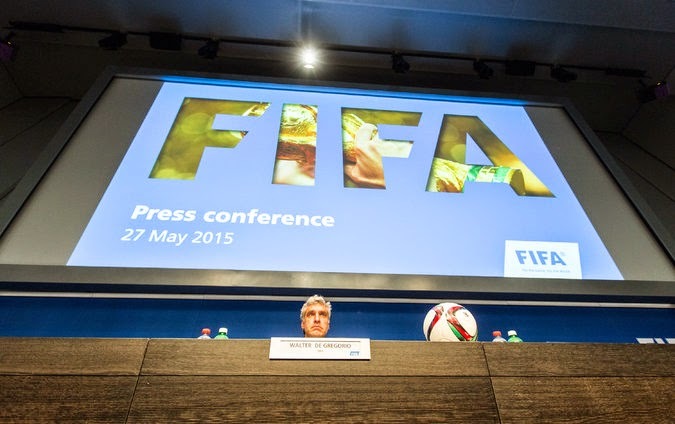 Andi Thomas: Is sponsor pressure the key to FIFA's future? Owen Gibson: Is this the beginning of the end for the house that Blatter built? One more thing before we move on: The Vlad is getting in on the mix! He thinks the U.S.A. is meddling again. Love that guy! He's from Texas and he plays for Fulham. Clint Dempsey? Not anymore. No, it's Emerson Hyndman! Meet this Yank Abroad here. Here's a headline for you: The prison where murderers play for Manchester United. It's a long piece, but well worth your time. The FA Cup Final is Saturday. Scott Murray is on hand to explain why Wenger doesn't get the credit he deserves for his extraordinary record in the competition. What's the good word, Walter? 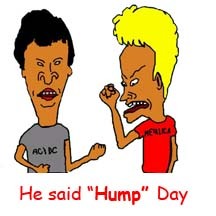 Hello, Hump Day! Let's see. Well, it's not a terribly pleasant one for SPECTRE FIFA, that's for sure. There's so much going down with everyone's favorite quasi-governmental multi-national body that we're not sure where to begin. Let's simply roll with some links, beginning with (gasp!) The New York Times. Gabriele Marcotti: Will FIFA's World Cup bidding crisis lead to meaningful change? Grant Wahl: FBI finally nails FIFA - now what? Time to bounce to France for a second. Julien Laurens has his Best XI of the Season from Ligue Uhhhhhhhhhhn. And finally...The Zlatan quotes are lies! All lies! Promotion, Relegation, Transfer Rumors, Scribes, Rafa in at Real? 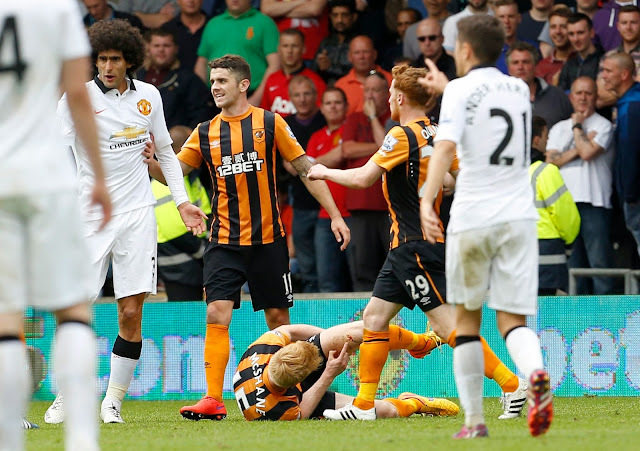 Hull are out of the Premier League. Mrs. Doubtfire simply couldn't keep them up. Meanwhile, Norwich City are back in the Premier League. Good to see you, Canaries! They ousted Boro 2 - 0 at Wembley to join Bournemouth and Watford in the top tier. Daniel Taylor was there and filed this report. Here are all of the ups and downs for England (and Wales) and Scotland. It's sad, but it's true. The Mill must return, and today, it does. It's silly season time, folks! Speaking of rumors...Rafa to take over at Real Madrid? Oh, boy. Let's see. What else? Raphael Honigstein has his Bundesliga 2014-15 Best XI. What else? Garth Crooks has a Team of the Season for the EPL. What else? Good times in Turkey. What else? Premier League Report Cards, beginning with Liverpool's "F." What else? Major League Soccer. And finally...some people were none too pleased that soccer took over the TeeVee on Sunday.